With its speedway oval banking, Rockingham provides a unique challenge in UK motorsport. The track has a good mix of a twisty and undulating infield, with a long and wide oval section which is ideal for slip streaming. Unfortunately, it won’t be on the calendar again for the foreseeable future due to a change of ownership. Another good reason to have a successful weekend and give the circuit a fitting send off. With 43 cars entered, it was going to be busy. Qualifying was very close; I ended up second in my session which would translate to third on the grid for race 1A. 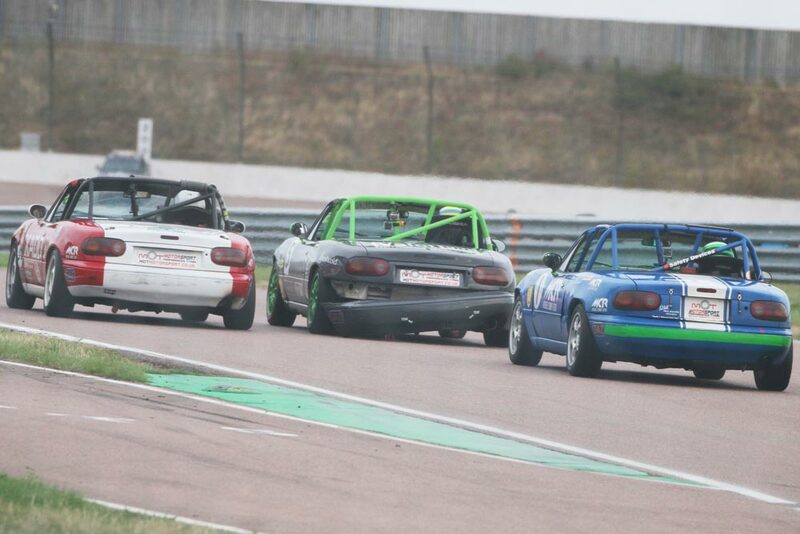 I slipped down to fourth at the start, but collected myself together and within two laps managed to take the lead. I was keen to create some chaos behind, in order to keep everyone else close together and therefore watching each other. This worked well for half the race, but then backfired as I was overtaken and dropped straight to fourth! I managed to get back into third, but by then the top two had pulled a gap. So, my tactic didn’t work, but I was pleased I tried it and happy to score a podium finish for the fifth race meeting in a row. I had a cracking getaway in race 2A and launched straight into second place. This time I was happy to play the game and work with Blackwell-Chambers and Smith to pull away before starting the fight. We managed to get a gap surprising quickly and were swapping places for most of the race. The last two laps were the most frantic and as we approached the hairpin for the last time Smith put a very late move on Blackwell-Chambers for the lead. He went in all locked-up and as they both slid wide I thought the door was open for the win, but I only managed to nick second place (and detach my rear bumper in the process). I found myself in third place after the first lap in race 3A and once again was happy to work to pull away before the everything kicked off. I was surprised to see this begin earlier than I thought, as the front two changed position several times. Just after half distance I profited from their fight to take second, before taking the lead shortly after. I was still in the lead heading into the late stages, but with two laps to go I was overtaken into the main hairpin as the other guys bump-drafted up to me. It was an exciting last two laps as the three of us were trying to attack and defend every corner, while each sliding all over the place. I ended up second by under 0.5 seconds. 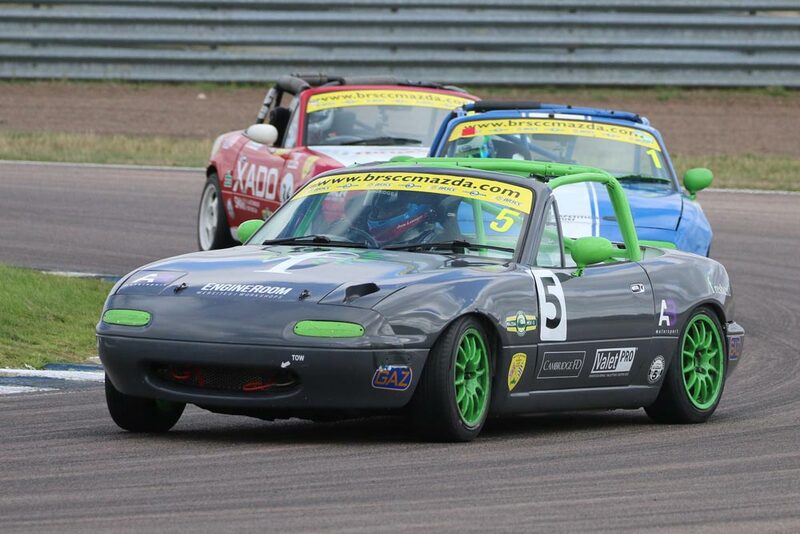 Over the course of the weekend I scored three podiums and three fastest laps, which was fantastic. There was some great racing up the sharp end and I was pleased to part of it. Next month we head to Donington Park for the last round of the year, where I’ll be trying my best to grab a win!